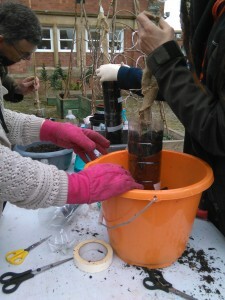 The growers that attended made vertical growing towers from recycled materials. 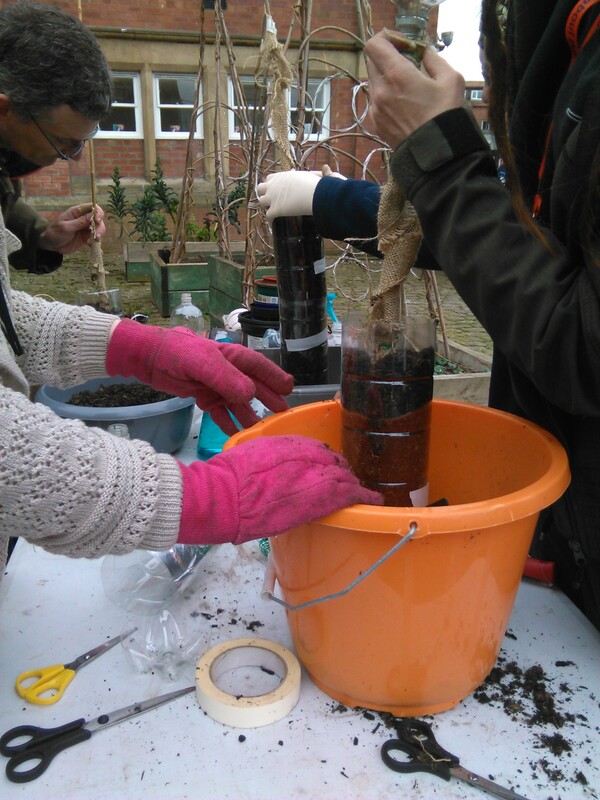 They also found out how to make a living wall to grow your strawberries and salads and looking at tackling issues of watering by making a self watering bottle tower. Growers were given strawberries, raspberries and potatoes to take home along with peas, broad beans and salad leaves that were sown during the session.